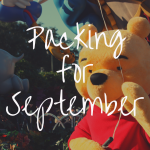 If you’re looking for the best time of year to go to Disney World, May is a safe bet! 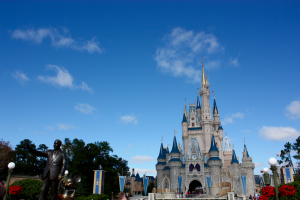 The crowds at Disney World can greatly impact how your Disney vacation goes. Heavier crowds can make it very hard to get reservations and ride all of the rides you want. If you’re traveling in May, you are in luck because crowds are expected to be light to medium most of the month. Weather is typically pretty mild with weather in the mid-80s and occasional light showers. When planning your days in the park, it is important to keep in mind which parks have on which days. This will help you effectively plan your vacation and enjoy the maximum amount of fun possible in any given day. 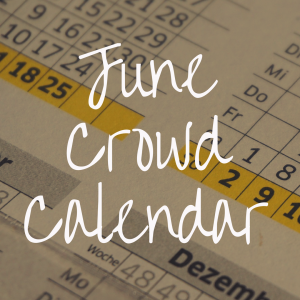 There are a few special events during May including some cheerleading competitions, the Epcot Flower and Garden Festival, Cinco de Mayo, and Mother’s Day! To help with your magical vacation, I have compiled a crowd calendar, so you can ensure you know exactly where to be throughout the entirety of your vacation. May is a fantastic time to travel to Walt Disney World thanks to the moderate weather. You definitely want to pack light clothes because it will be warm, but it will not be nearly as hot as June, July, and August. The temperature is typically in the mid-80s but remember to check the weather before you leave because Florida can be quite unpredictable sometimes. The average high in Florida throughout the month of May is 88 degrees Fahrenheit. This isn’t insanely hot, but it definitely can get uncomfortable at times when the sun is beating down on you. Be sure to keep this in mind when packing so you can pack accordingly. A hat, sunglasses, as well as some personal fans might be great options to keep you cool. It also might be a good idea to bring a cooling towel to prevent getting overheated. Bring a water bottle to stay hydrated as well. Any quick service counter will also be happy to give you a cup of ice water free of charge. The average low for Florida this time of year is 65 degrees. This is fairly comfortable weather, but don’t expect much of it. It typically gets this low late at night which is perfect for late extra magic hours. If you’re planning on being out late, remember to maybe pack a light jacket in case there is a breeze. You will want to pack some ponchos too. I like to run by Target or Walmart and grab a couple for only a few bucks. The ones at Disney are very pricey, so I try to refrain from buying one in the parks. Rain is inevitable at any time of the year in Florida. You could be at Disney for two days or two weeks and will still experience some rain showers. I always like to check the weather the morning before I head to the parks. If there is a specific scheduled time for rainfall, make sure to get FastPasses for your favorite outdoor rides before the rain comes in case they close down later on. If you know it’s going to rain and you have kids in strollers, be sure to pack a rain cover for your stroller. This will help keep you child or children dry as well as any merchandise you’ve purchased and electronics. Overall, the weather in May is truly gorgeous, and one of the best times to be in Orlando, Florida. You can make the most of whatever weather you end up having by simply checking the weather and packing accordingly. Another important detail to pay attention to is when Disney World has Extra Magic Hours. Each day, some of the parks are open extra early or extra late. During these hours, crowds are pretty light and are a great time to ride those rides that had ridiculous lines during the day. Each park typically has the same one or two days a week when they have extra magic hours at certain times, but this does vary. I’ve broken this down to show you which parks have extra magic hours on each day of this month. Extra magic hours is one of the best perks of staying in a Walt Disney World resort hotel, so definitely take advantage of these extra park hours! Magic Kingdom will be open extra hours from 9pm to 11pm on May 1st, 8th, 15th, 22nd, and from 10pm to 12am on the 29th. Magic Kingdom will be open an extra hour from 8am to 9pm on May 3rd, 10th, 17th, 24th, and the 31st (dates always subject to change). At Epcot, there will be extra magic hours from 8am to 9pm on the 2nd, 9th, 16th, 24th, and 31st. They will also be open from 9pm to 11pm on the 7th, 14th, 21st, and 28th. Then, Hollywood Studios will have extra magic hours from 8am to 9am on the 5th, 12th, 19th, and 26th (dates always subject to change). 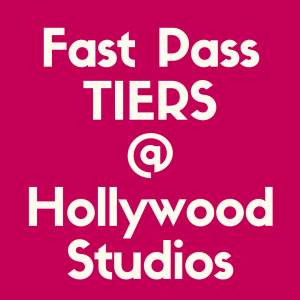 I would definitely take advantage of the extra magic hours at Hollywood Studios since Toy Story Land is fairly new and will be difficult to ride without a FastPass! Animal Kingdom’s Pandora will be pretty busy since it is also fairly new so take advantage of these magic hours as well. The park will be open an extra hour from 8am to 9am on the 4th, 6th, 11th, 13th, 18th, 20th, 25th, and 27th (dates always subject to change). There are a lot of dates, so be sure to choose which days you spend at which park accordingly to take advantage of extra magic hours and lighter crowds. Keep in mind that extra magic hours are only for individuals who are staying at a Disney resort hotel. If you are staying off property, you will not be allowed to use extra magic hours, so keep that in mind while planning your vacation! If you ever need to double check what parks are open for extra magic hours, open your MyDisneyExperience app and click on the park hours tab. This will let you check park hours for all Disney parks, water parks, Disney Springs, and more! A Disney World crowd calendar is the key to fitting in all the fun possible during your Disney vacation! The first week of May is expected to be pretty light but will escalate to moderate halfway through the week when The Summit – All Star Championship cheerleading competition begins. This is probably the best week to be in Disney World for May. It’s also one of the best weeks out of the year in my opinion. Expect Magic Kingdom to be pretty busy on Wednesday and Friday this week. 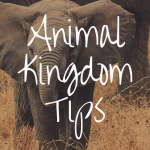 Animal Kingdom will be busy on Saturday the 4th. Epcot will be busy on Thursday the 2nd as well. Keep this in mind when planning your days in the park. Hollywood Studios will have fairly light crowds this week. Remember that Toy Story Land is still very new though, so the crowds in this section of the park will still be a little heavy. Ensure you book FastPasses 60 days in advance. Book them all around the morning time so you can use them and grab more for later on in the day! The second week will start with lighter crowds until the 10th when The Summit D2 Championships begin. This week will also have heavier crowds at Magic Kingdom on Wednesday and Friday. Tuesday and Thursday will be really busy for Epcot. Hollywood Studios is expected to be busy on Sunday the 5th and Animal Kingdom should have heavier crowds on Monday and Saturday. The good news is, even the heaviest crowds in May won’t be as bad as some other months, so you are safe with enjoying all of the parks throughout this week. Heading into the third week of May, the crowds will be lighter again. As May continues, the crowds will slowly increase as the Southeast school districts close for the Summer. Magic Kingdom will once again be busy on Wednesday and Friday while Epcot will see heavier crowds on Tuesday and Thursday. Sunday will be busy at Hollywood Studios again while Animal Kingdom will be busy on Monday and Saturday. Try and schedule your vacation as early in May as possible because it will only get busier as the month continues, and Summer vacations begin for schools. The last week of May will definitely have moderate to heavy crowds as many schools have closed and families come to Disney to kick off their Summer vacation. Memorial Day is on the 27th this year, so crowds will be very heavy over Memorial Day Weekend. The crowd patterns continue for the rest of this month with Magic Kingdom being busy on Wednesday and Friday, Epcot will be busy Tuesday and Thursday, Hollywood Studios will have heavy crowds on Sunday, and Animal Kingdom’s busiest days will be Monday and Saturday. This will be the busiest week out of the entire month, so try and visit earlier if you can! There are lots of schools whose Summer vacations end in mid to late May. Many families love to kickoff the Summer with a trip to the most magical place on the Earth. 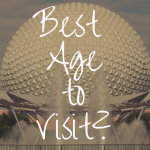 There are a ton of great times to visit Walt Disney World, and May is definitely one of them. However, here is a small list of my favorite times to visit Disney based off of crowds, events, and more. All of these times either have really low crowd levels or amazing special events. Some of the holiday celebrations in Disney are absolutely incredible, and I love to attend them. Mickey’s Not So Scary Halloween Party and Mickey’s Very Merry Christmas Party are two events I never want to miss. February May, and March provide comfortable temperatures and low crowds. The Epcot Flower and Garden Festival will be open the entire month of May which means Epcot crowd levels could be a little heavier than usual. The event will host over 100 incredible Disney-inspired topiaries for guests to enjoy. This event will also have plenty of outdoor kitchens and special food and drinks to enjoy. Enjoy a beautiful butterfly house during the Epcot Flower and Garden Festival as well! Hollywood Studios’ birthday is on May 1st, so expect a celebration in that park to commemorate its 30th year, however no plans have yet been announced. This might drive some traffic to the park and increase crowds, so be prepared! Then on the 5th, is Cinco de Mayo. This will increase crowds at the Mexico pavilion. If you want to dine in their restaurant, I would ensure you make a reservation 180 days in advance since this could be a coveted reservation on this day. Mother’s Day will be on May 12th this year. Walt Disney World does a great job of celebrating mothers on this special day. Many restaurants offer special meals or desserts in order to help families celebrate. I suggest calling the concierge of your selected resort to hear about special dining opportunities. This would be a great way to celebrate with the family and enjoy a delicious dinner all together. If you ever want to know what special events or special menu additions are available, you can check your MyDisneyExperience app. Check the menu at a few restaurants or check the attractions and entertainment tabs to see what types of events and meals will be available for a limited time during your stay. Overall, May is a fantastic time to visit Disney. The weather is mild and enjoyable. The crowds are light to medium which is perfect for ensuring you can enjoy everything possible while at Disney! 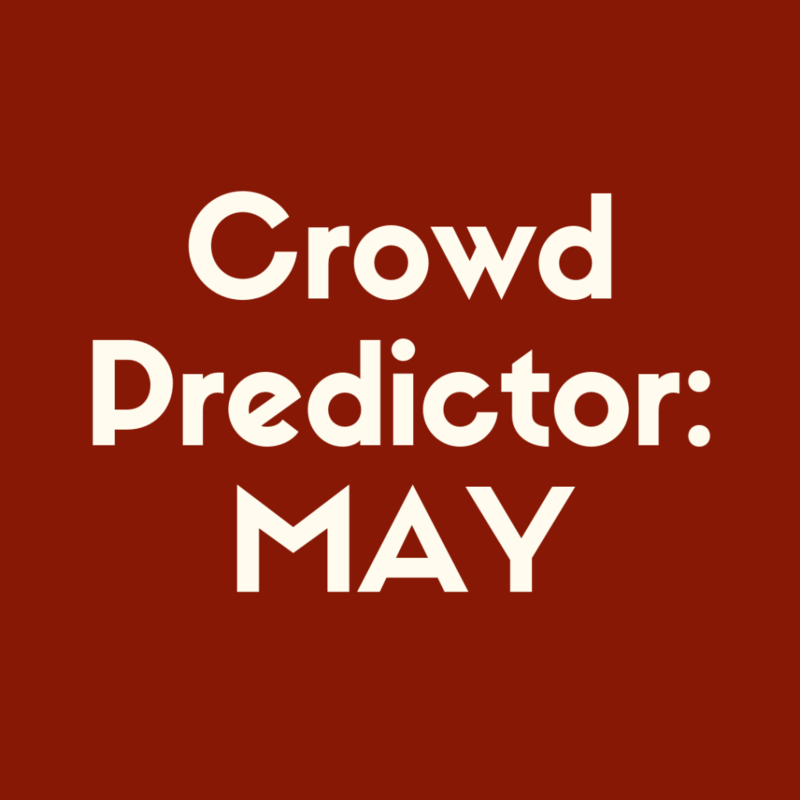 Just remember that May’s crowds increase as you move further into the month. There are also some special events to enjoy. The Epcot Flower and Garden Festival is so much fun and absolutely beautiful. Mother’s Day will have some fun perks as well. Be mindful of extra magic hours and park crowds when planning. May is a great time to visit Disney. So, if you are planning on visiting during the month of May, you are sure to have a truly fantastic time during your vacation!